"Companies so powerful, so arrogant, and so nasty that they spark intense, emotional reactions". So, I decided here to publish a similar list for the Egyptian Evil Empires. They can be companies, parties, or even sports clubs. Some will say the party is really evil, and some will not. But at the end of the day no one can deny how this party is dominating the political scene in the country. The ministers, governors, members of the parliament, and even business tycoons, all belong to the party. And on the other hand no one can even tell the names of the other political parties in Egypt, the NDP has succeeded in turning all competing parties into clowns. There is a famous saying here in Egypt, that no one is more powerful than the National Democratic Party except Al-Ahly. I think enough is said here. Those are the real masters of the Egyptian streets. No rules can stop them. No car drives can beat are be safe from them. Al-Ahram newspaper is the most important media outlet in the country. In fact it is more than a newspaper, it has it's own Advertisement agency, printing facilities, dozens of magazines and subsidiaries. If some news is not published there, then it has never happened. But I think now they are losing ground to new media such as Satellite Channels, Blogs, and Independent Newspapers. I think we cannot write such list without mentioning businessmen such as Zeinobia's Chucky, et al. who happened to be members of the NDP by the way. Please feel free to share your own "Egyptian Evil Empires" list with us. I think we could add Egyptian Teachers to the list after the sad accident of the teacher killing the student. DUUUUUUUDE!!!! check it out! 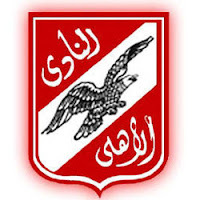 im high but that "al ahram logo" actually looks like hosni mubaraK! look at it same dopey eyes and everything! @Sherif, hmmm, can't get it, seems that I lack your imagination.